"For the neuroscientist or psychologist who cringes at the sight of mathematical formulae and whose eyes glaze over at terms like differential equations, linear algebra, vectors, matrices, Bayes' rule, and Boolean logic, this book just might be the therapy needed." "Anderson provides a gentle introduction to computational aspects of psychological science, managing to respect the reader's intelligence while also being completely unintimidating. Using carefully-selected computational demonstrations, he guides students through a wide array of important approaches and tools, with little in the way of prerequisites...I recommend it with enthusiasm." Interleaved chapters that show how traditional computing constructs are simply disguised versions of the spread sheet methods.Mathematical facts and notation needed to understand the modelling methods are presented at their most basic and are interleaved with biographical and historical notes for contex.Numerous worked examples to demonstrate the themes and procedures of cognitive modelling. 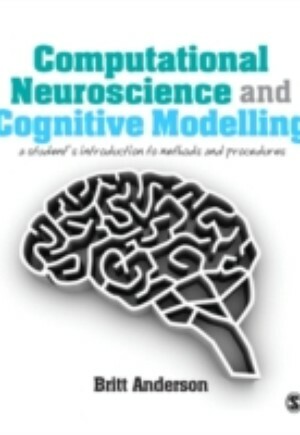 An excellent text for postgraduate students taking courses in research methods, computational neuroscience, computational modelling, cognitive science and neuroscience. It will be especially valuable to psychology students.